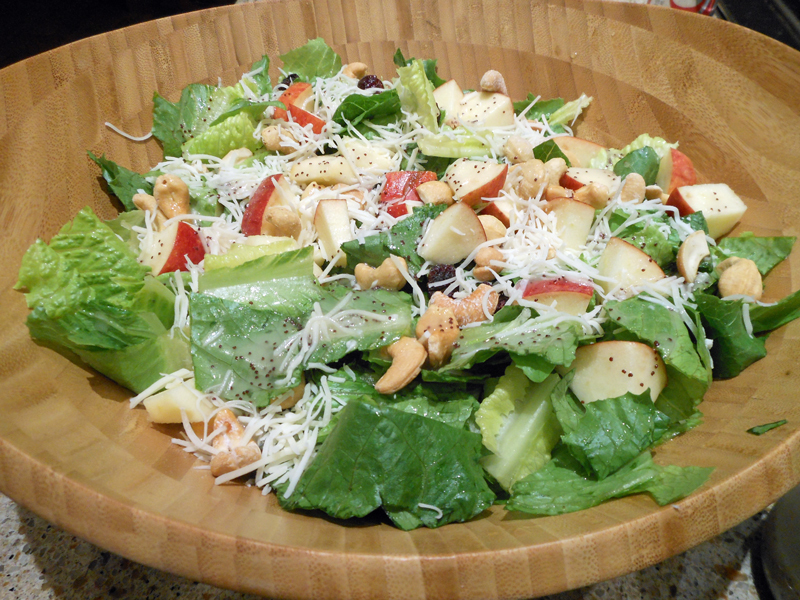 This is a wonderful salad to serve in the fall when the apples are ready. It is so light and refreshing! Of course, you could serve this any time of the year. In blender or food processor, combine sugar, lemon juice, onion, mustard and salt. Process until well blended. With machine still running, add oil in a slow, steady stream until mixture is thick and smooth. Add poppy seeds, and process just a few seconds more to mix.